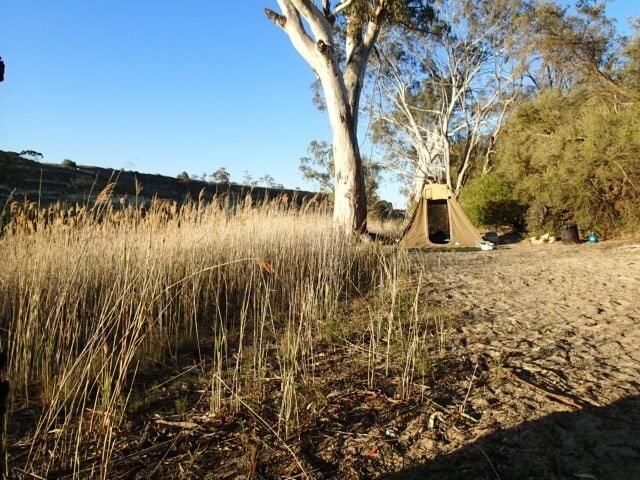 There are so many places to camp along the River Murray, and each one provides a different aspect to this waterway. Morgan Conservation Park is no exception. Located around 150km from Adelaide, this Park run by National Parks SA is a great place for a weekend away without having to travel too far. 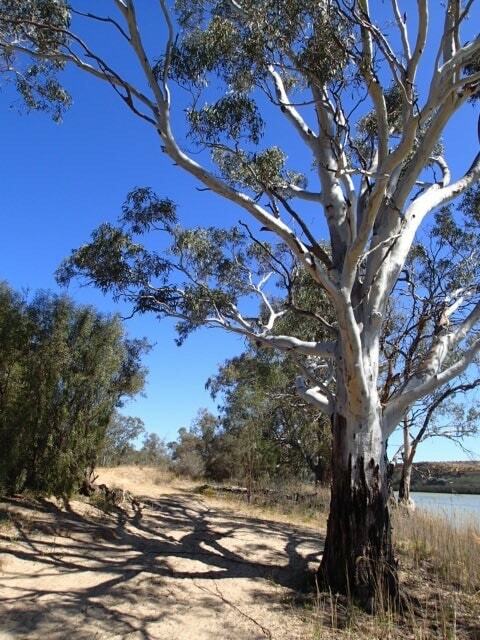 To get there, travel from Adelaide to Morgan, via Murbko Road - and from there, you need to catch the free ferry from the township of Morgan to the Park. The ferry runs 24hours a day, and is constantly running back and forth, so you don't need to book - just turn up. When you exit the ferry, take the first left dirt road. It's not clearly signposted. 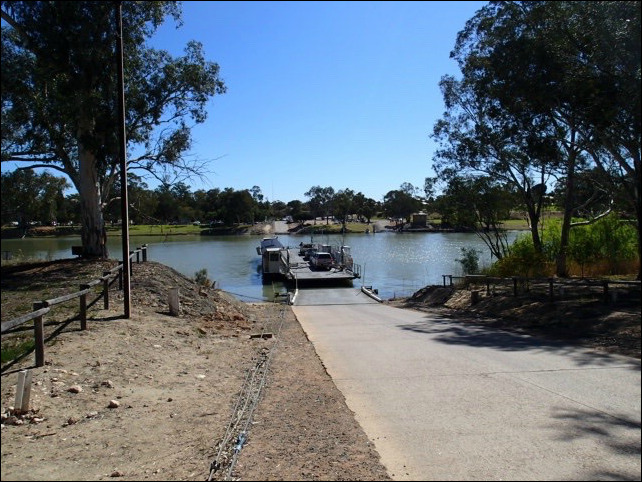 If you come from Waikerie or Cadell, then you are the correct side for the Park, and no ferry trip is required. To access the park, take the last right turn before you would board the ferry. There is another second road which is not signposted either, which takes you other camping locations in this Park, though we haven't visited that section near the water catchment area - if you find the camping area below not to your liking, then this second road might be worth investigating. The dirt road is accessible to 2WD, though after rains it could be very muddy and the road does have some deep ruts in it, so care would be needed if not in a 4WD. It's hard to know how many campsites are in this area as there are no designated spots - just camp wherever you like, but previous camping areas are easy to recognise, and probably best to choose one of them rather than create a new one. A Leave No Trace ethic is "good campsites are found, not created". 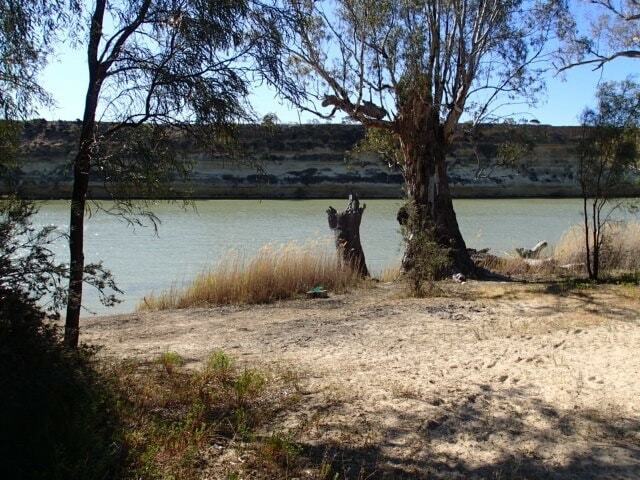 The campsites along the Murray do vary in size, level and shade. We were in a larger family tent, so we had to find a spot that could accommodate it, without being on a slope. On a weekend in school holidays, it was a little harder to find, and we still ended up slipping out of our stretchers a little! 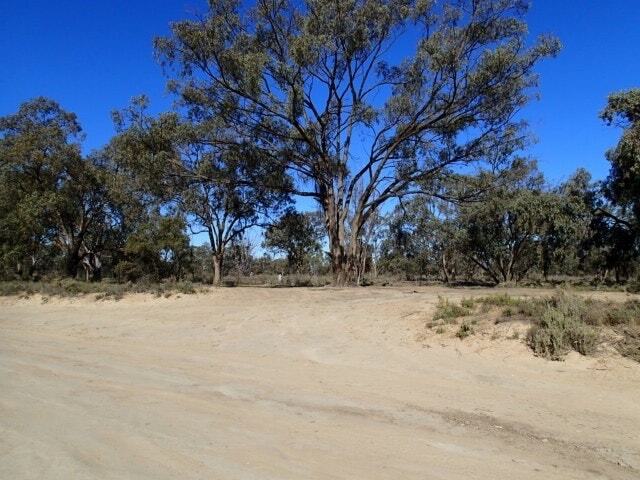 The campsites near the River are sometimes not clearly visible from the dirt road - they are hidden by a mound of sand and trees, so when you see a spot you think looks promising, you might have to hop out of the car and just have a look around. 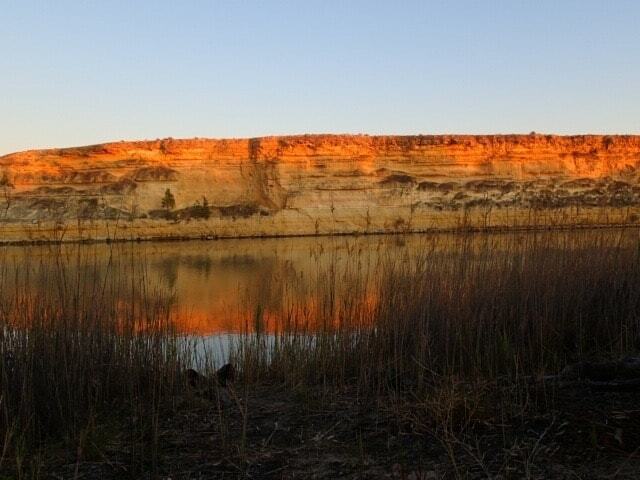 Most of these sites you first see on your left of the vehicle/near the Murray are best suited for tent campers. If you are in smaller tents, then your choice of campsite would increase as opposed to those in larger tents. But once you are in one of these sites, you have it to yourself, and other campsites are not visible. Additionally, some of the campsites would not accommodate more than 1-2 tents, so if travelling in a larger group, you may be hampered in finding a spot that will suit all of you. Caravans and camper trailers won't be able to access these initial sites on your left when you drive in. 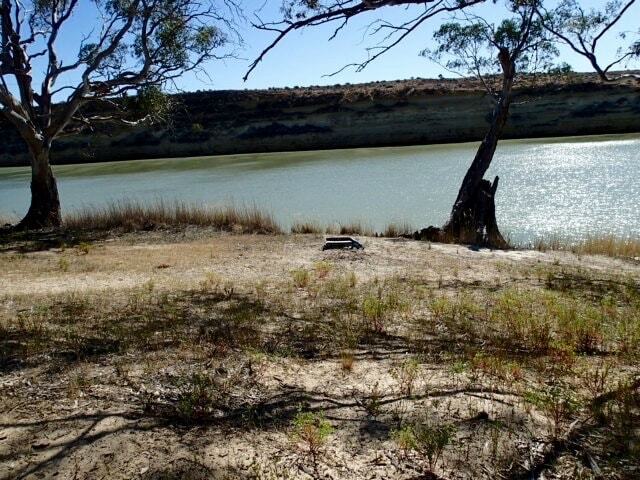 These campsites have varying degrees of access to the water, and all seemed to have shade from the large gum trees that border the Murray. Please be wary of these gums, and don't camp directly under any bough of the tree. When you drive to the end of the road, you come to a larger clearing, where most campers seemed to gather on our trip - especially the non-tent campers. Once again, drive around to find a spot that suits you and your style of camping. In peak times, this section is the one where privacy would be at a minimum. From one campsite you can easily see other campers. Shade is ample in this section as well, and water access varies greatly. This campsite was suited to caravans, but not on the river. There are no facilities at all in this park. 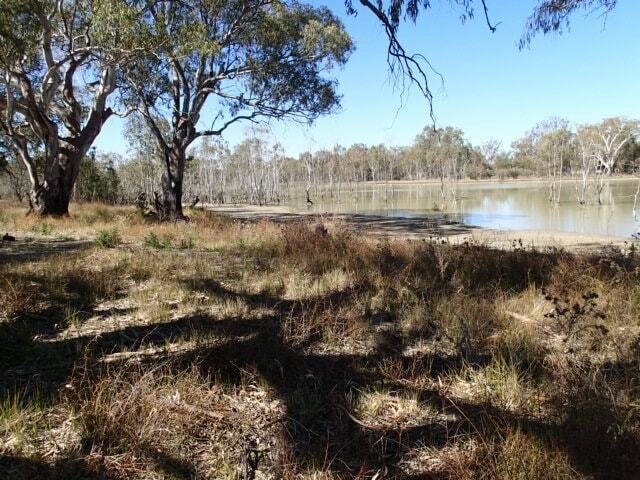 There are no toilets, no fresh water (apart from the Murray River, which would require treatment before drinking) and wood fires and solid fuel fires are prohibited at certain times. Please check this site to find out the exact dates. Suggest you bring your own chemical toilet. Gas fires are permitted other than on days of total fire ban. Back on the main road, near the ferry (Waikerie side) there are garbage bins where you will be able to deposit your garbage at the end of your stay. Should you have forgotten anything, the town of Morgan, whilst very small, you should be able to pick up some supplies there. The caravan park in the town has its own kiosk. There is also a pub if you don't want to cook your own meal when you are camping! 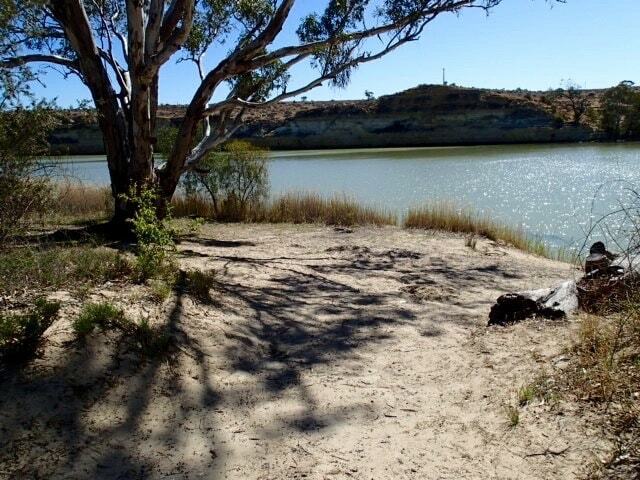 At the campsite, you might want to try fishing (for carp most likely, and yabbies), but apart from that, its basically a place to chill out and relax. Walking around the camping area, there is not a lot to see - just other campers. Where we camped, there were plenty of houseboats, water skiers and watercraft in general going by - so be prepared a little for some of the noise of those during the day, plus you might not like being so close to that, and having a reduction in privacy. Access to the water does vary, but I wouldn't say its safe for swimming - with fast moving currents. Boat access is non existent though kayaks and canoes wouldn't have any trouble finding a spot to launch. We find this to be a good place for a weekend. Not a long term sort of place, but more of an overnight camping site. Being close to Adelaide makes it great if you want to wait and see what the weather is like before you leave home. Or if the weather turns bad, you are not too far from the city.